I haven't used my Ciate Caviar set in a while and wanted to do something cute for Easter/spring, so I thought it'd be the perfect time to break it out again. 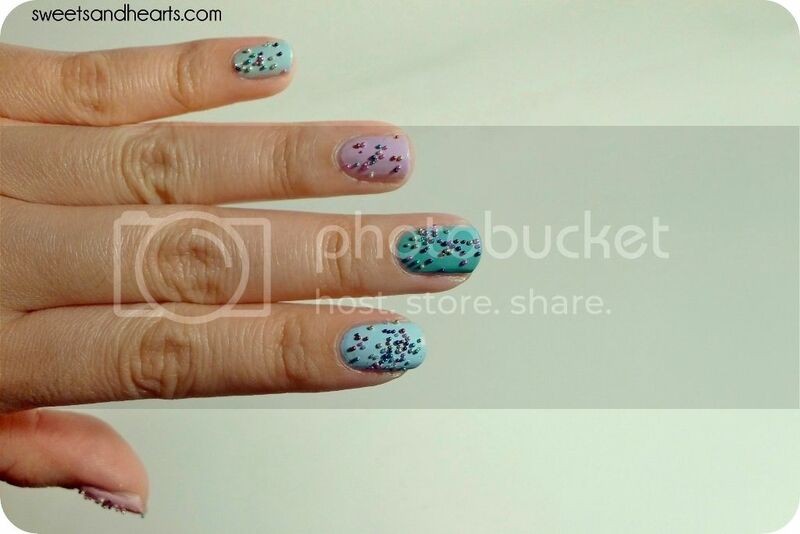 I just picked a few of my favorite pastel polishes and sprinkled the caviar beads on each nail randomly for a cupcake sprinkle effect. To get the same look, pick five of your favorite pastel polishes. 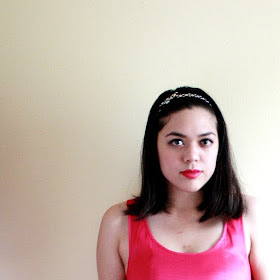 I went for ice cream colors, like a pale strawberry pink, sky blue, robin egg blue, lavender, and mint. Using a different color for each finger, paint two coats (some might need three for complete opacity). 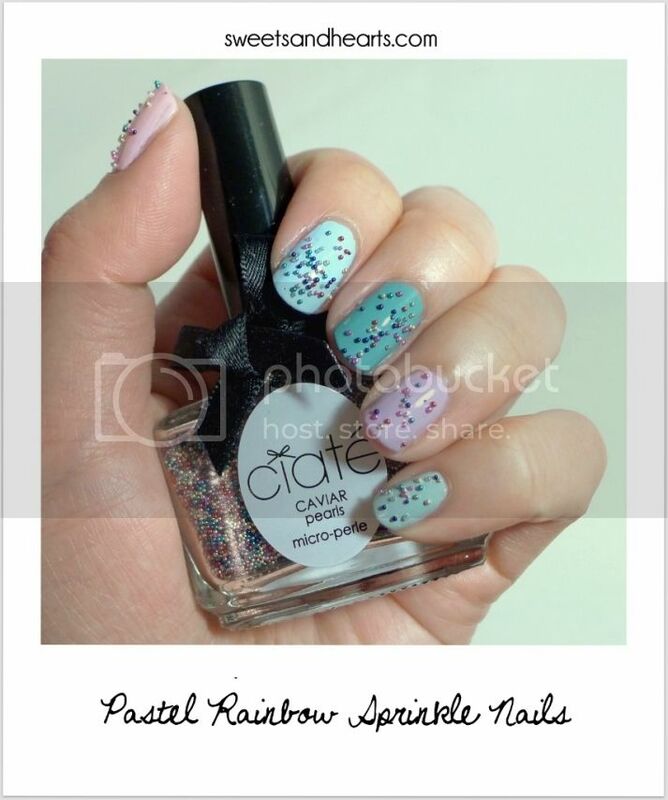 While the last coat is still wet, sprinkle a pinch of caviar nail beads onto the nail and let sit for about a minute. Carefully press the beads to make sure they've adhered and let sit until completely dry. Seal with a topcoat. I used Seche Vite for the topcoat, which actually caused the paint on the beads to streak a little (so frustrating). Most of the beads have stayed on the past few days, but they do get caught/tangled in random things (my hair, loofah while showering, threads, etc. ), so just keep that in mind when you have any kind of 3D nail art. Share your links if you've posted you manicures lately.